This is another book that a publisher sent me in promise of a review. I was really excited for this book, but ultimately ended up being very disappointed because it wasn't what I expected. 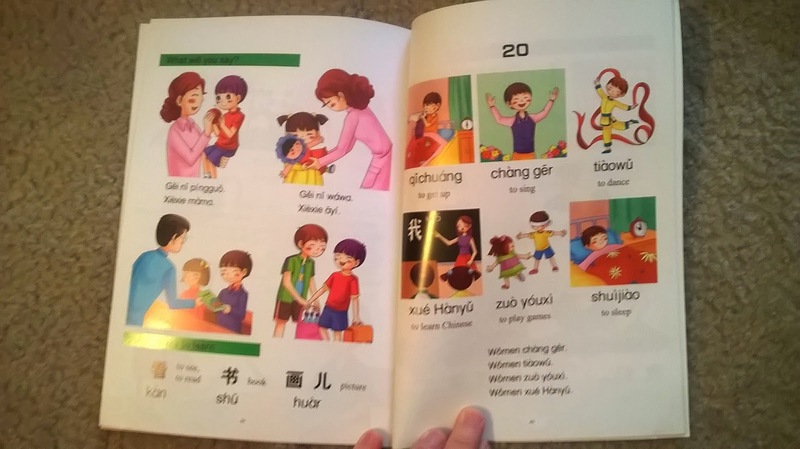 HOWEVER, I must preface that this book might be a great option if your kids don't speak any Chinese at all and are a bit older (probably at least 6). 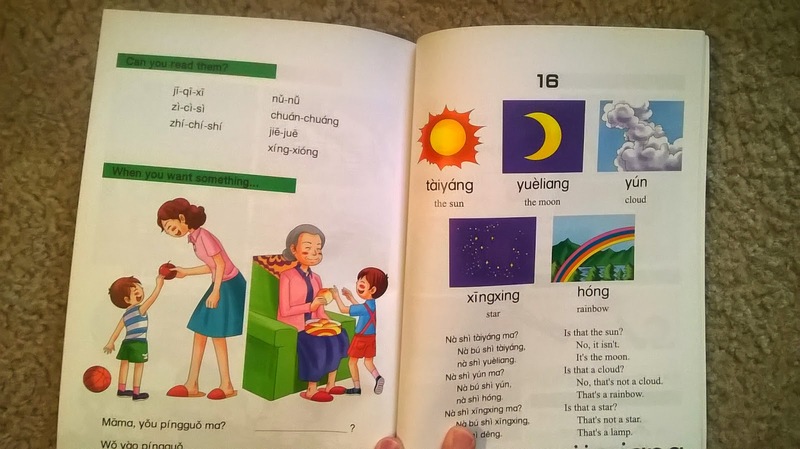 The book doesn't assume any knowledge of Chinese, and just jumps in with very basic words. There is no pronunciation guide, but there is a CD of MP3 files that walks you through the book. I'm not sure how effective that would really be, I guess a parent would have to walk the kid through it, and the kid would probably have to be pretty confident reading English. The pictures are fun, and there's some activities in the book to keep kids occupied, like filling in the blank, songs, and other questions. However, my biggest complaint and the reason why I'm not sure this book is worth it is that the book is almost entirely pin yin. It hardly emphasizes characters at all. On one hand, I can appreciate that, and I understand that it's much easier to learn how to speak with pin yin and not with characters. That's how I learned to speak (this is the husband writing this). 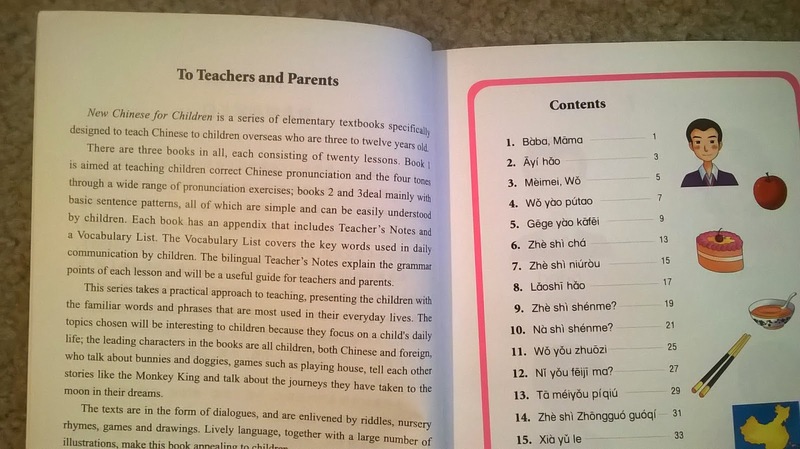 On the other hand, this book is way too extreme in hardly including any Chinese characters. In the very least, I think they should be placed there anyway, even if the pin yin is emphasized. Kids need to see the characters and start to get familiar with them, and this book doesn't do that at all. Kids also need to start writing a little bit, and kids think writing characters is fun. 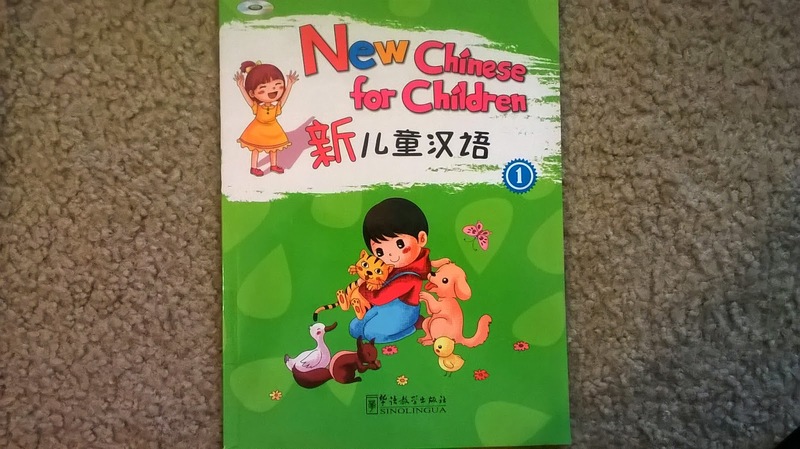 I'm not sure how fair my evaluation is, since I'm not the target audience (my kids already speak Chinese), but I don't think this is the book I would seek out if my kids didn't speak Chinese and I wanted them to learn.